Some things are just so obvious that when you work it out, you are barely even happy. Here are the obvious tips that I wished I had worked out from the onset. Some of the advice will be obvious to you, some won’t. Don’t gloat if you know them. There are probably even more obvious things that you are clueless about! 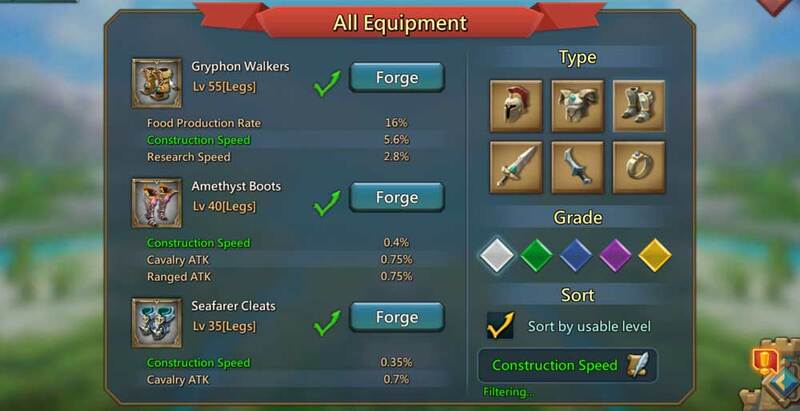 Gear and Equipment need to be worn in order to boost you. This advice took me months to realize and it’s quite shocking that I didn’t work it out sooner… It was quite embarrassing. Using equipment may seem like a complete pain. Spoiler alert: it is (until you get the Quick Switch options), but using the equipment properly will shave 100% – 150% off your development time. Good News: You only have to keep the equipment active until you start the development. The trick is to focus on a few items that specialize on each type of development. 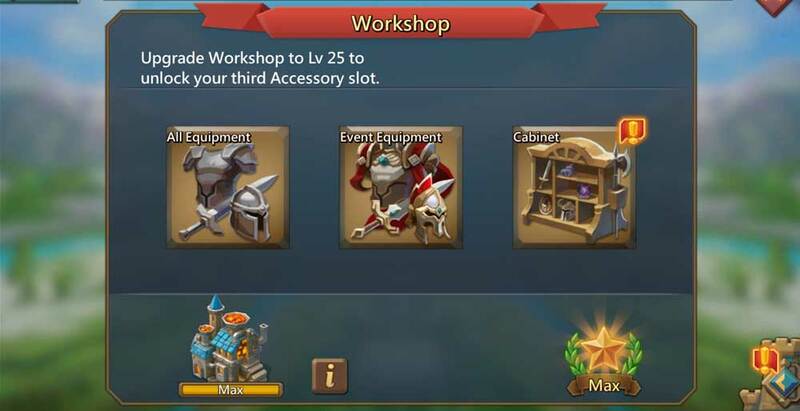 For example in the image above, you can filter items that are good for construction! 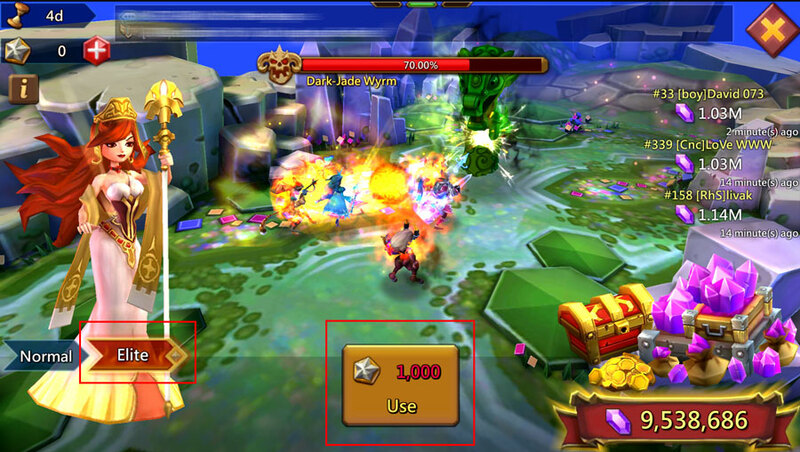 This tip is not just for the P2P (pay to play) players, but even for the players who spend a few dollars here and there. The value of the Monthly Pack is far better than almost any other paid option you can buy. You can do the math yourself, but don’t bother. Trust me. I’m right. If you don’t trust me, why are you even reading this article… Just go to YouTube and watch one of those bobble-heads rants about their pet tortoise for 3 hours instead. 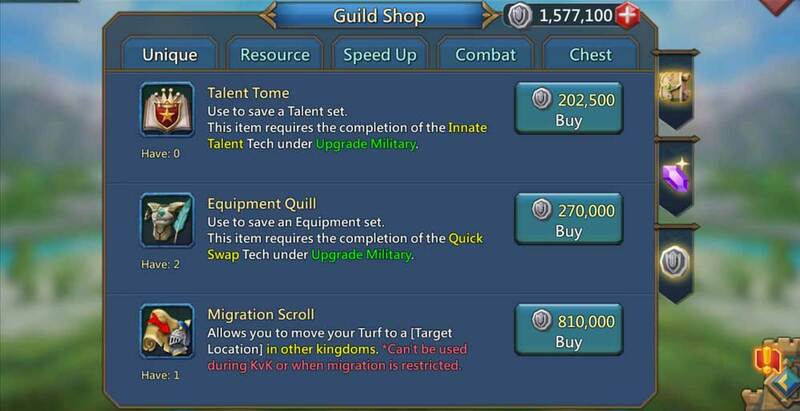 Guild coins are free, but that doesn’t mean that you should spend them on anything. Focus on buying the stuff with the best value. Don’t spread your resource mills equally. Rookie mistake. Focus on one above the rest. Always make a semi-hyper resource focus. 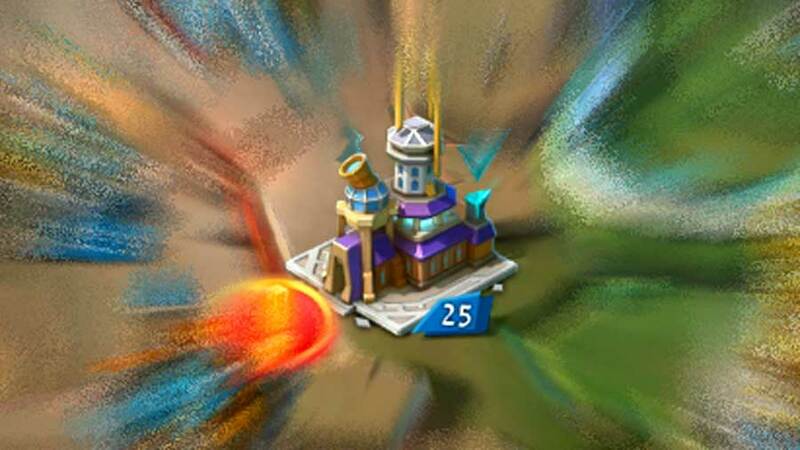 Once you max all the spots, you will have 18 resource buildings. 1 Farm, 3 Mines, 3 Quarries, 11 Lumber Mills. 1 Farm, 2 Mines, 2 Quarries, 13 Lumber Mills. 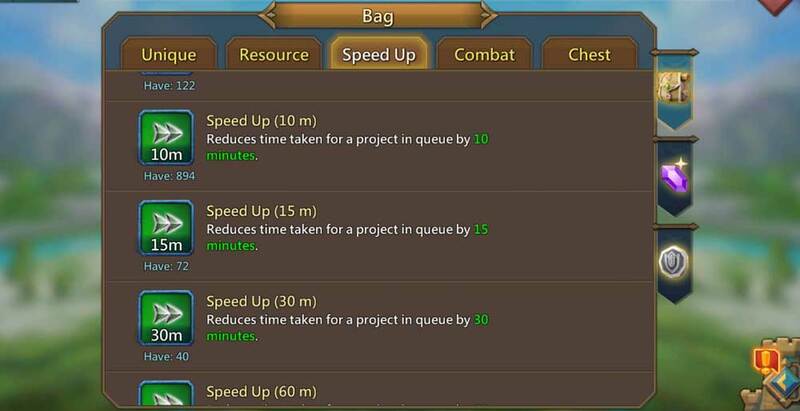 Don’t speed up developments randomly. 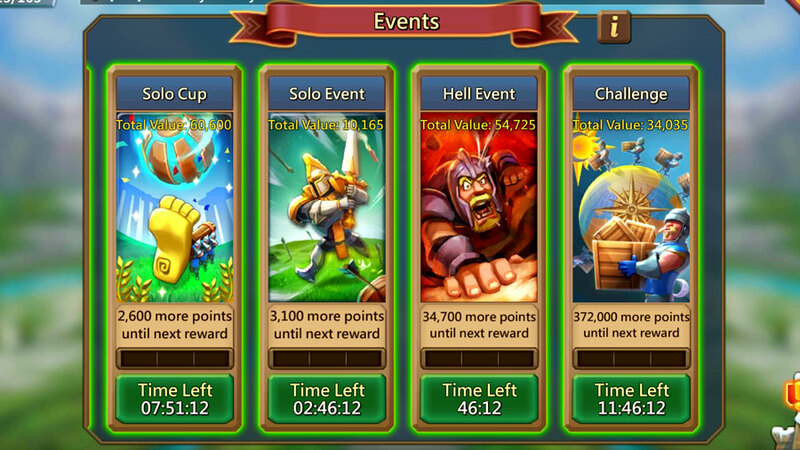 Save your speedups and then wait until the Hell Event (and hopefully 24hr Challenge and Solo Event to also line up). Use all the speedups in one shot and hit Event 3 for the Hell Event. This trick is so basic and will give you so many dividends. Have patience and take home the rewards! EXPERT TIP! Wait for a Hell Event that coincides with the Guild Fest and get even more value out of your steely patience. I can’t stress this enough! Don’t invest in trap research and siege troops. 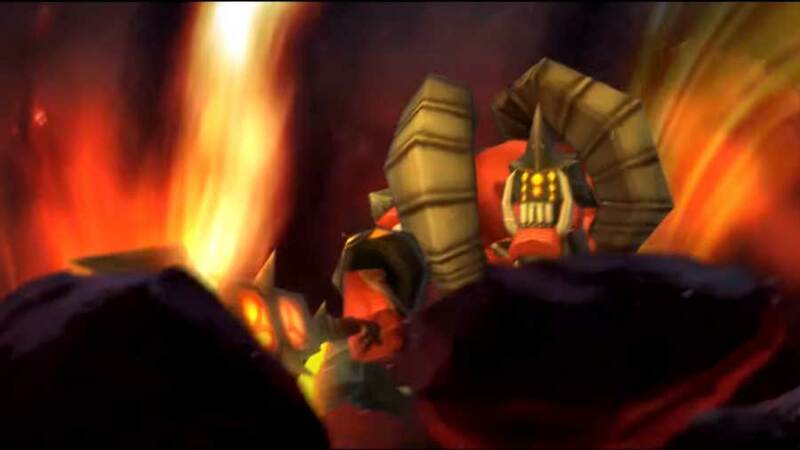 Well, firstly fire him! Also, he’s wrong. Siege is dreadful. Don’t go near it. Ever. Yes, ever. 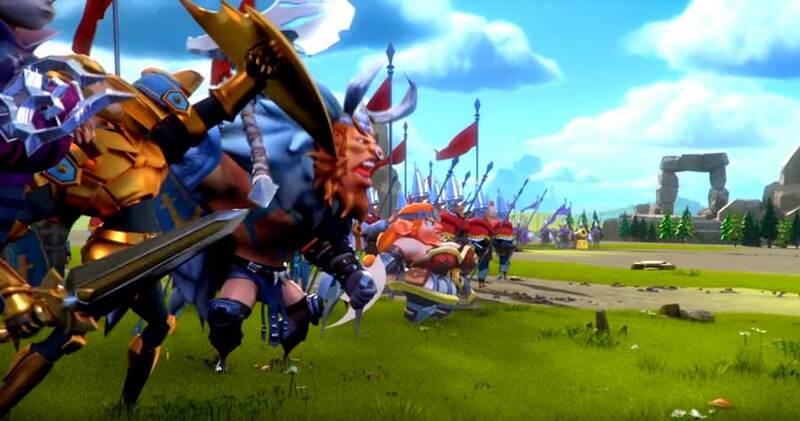 Monster hunting is extremely underrated and it is one of the most effective techniques in Lords Mobile. 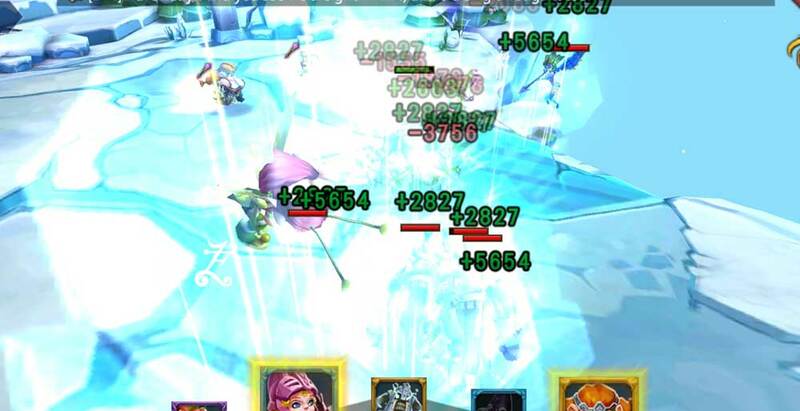 Learn all the heroes compositions for each monster. Click here to learn more. Join a guild that focuses on Monster Hunting. Do as much Monster Hunting research as you can! If you are the type of player that will spend money every-once-in-a-while, I would highly recommend paying a one-time $100 and buy one of the packs that have the Elite Labyrinth in it. Most people play the game for a year before deciding to pay for the Elite Labyrinth. 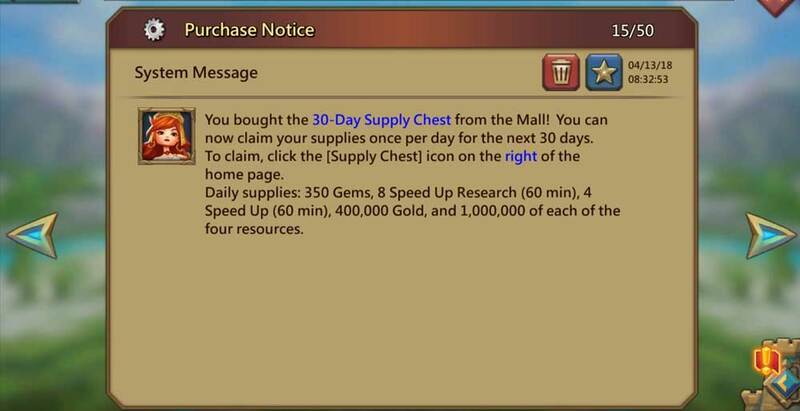 It’s a shame because the Elite Labyrinth gives you a massive rewards every single day! It’s kind of a no-brainer! If you think you’re the type to buy it later, just buy it earlier and start getting the massive perk as soon as possible. Use the Treasure Trove for crying out loud! 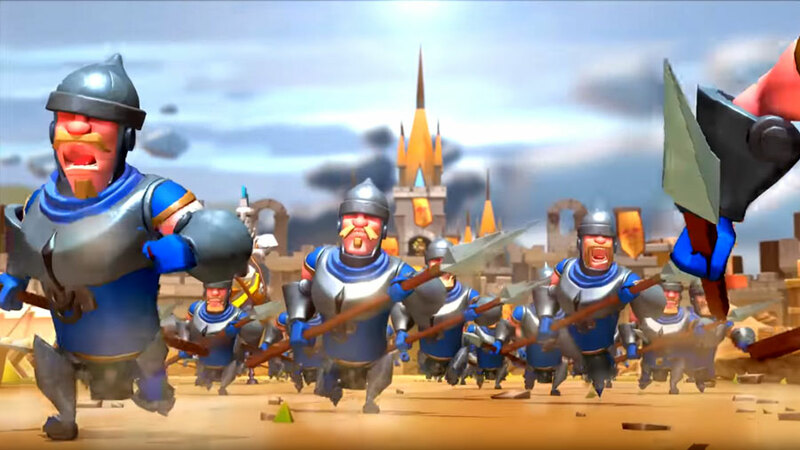 Max it as soon as you can and always have your gems invested. 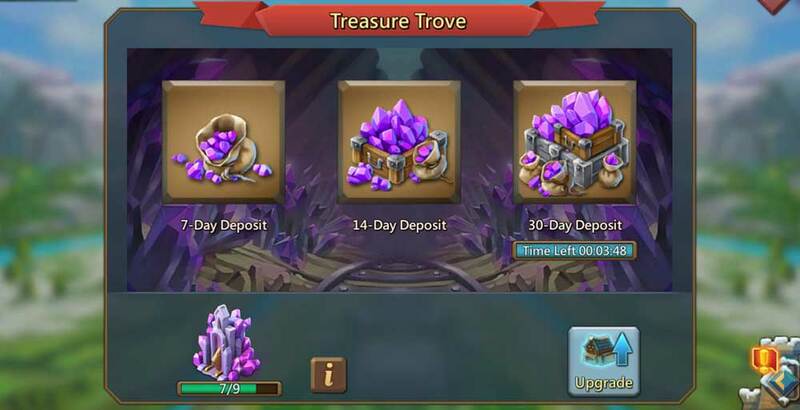 You would have to be super stupid to not invest in the Treasure Trove. For a better understanding of the Treasure Trove, click here. Here’s a basic tip that almost no one knows! Here goes! Always trade everything in the trading ship. All the deals are awesome. The stars tell you how good a deal is, but even the 1 start deals are awesome. 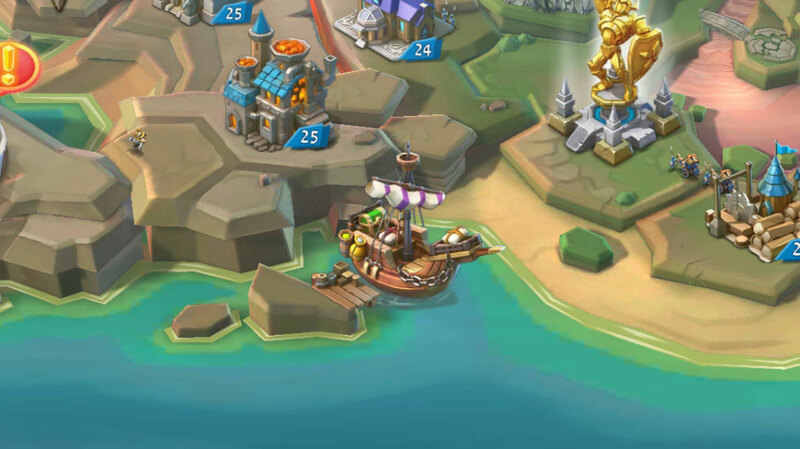 There are also other reasons to always use the trading ship. Click here to understand more. 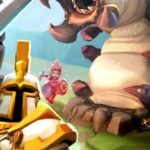 The Guild will be the single biggest decision in Lords Mobile. Make sure that you pick a proper guild. 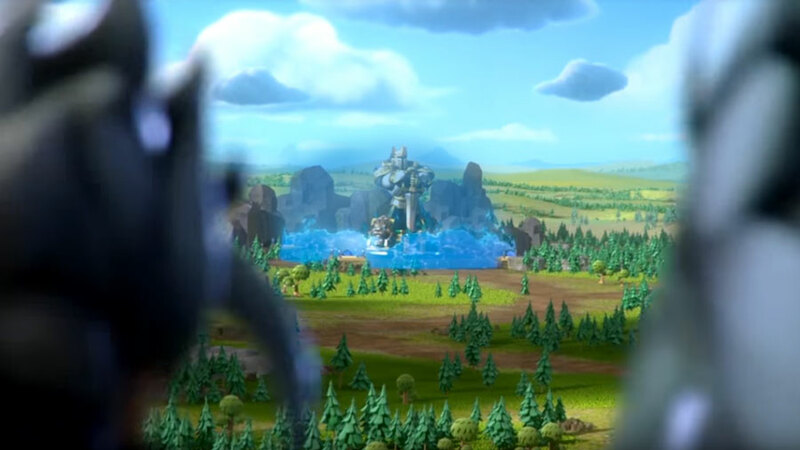 A bad guild will waste your time, but a good guild will turn you into a powerful and well-oiled war machine! Here’s my tips for picking the right guild. And, please, make sure that you have enough infirmaries. If the heading didn’t give it away, I will have to spell it out for the slower readers. Focus on research! Everything else is wonderful, but research is how you really become a powerful castle. 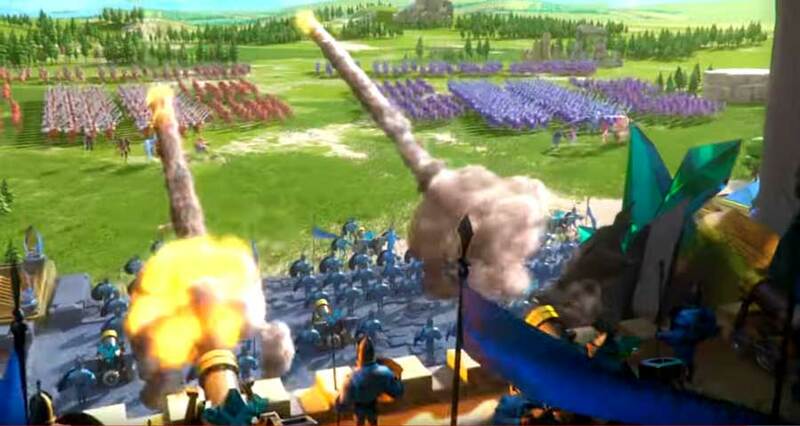 Simply put, you can beat another castle with 1/40th of the troops if you have the right gear and research! There are many tips when it comes to Familiars and their buildings, and I would advise you to read my articles on them. In short, you can save yourself a lot of headaches and wasted time if you just submit yourself to my will! There are good heroes and there are better ones. The trick is to focus on the heroes that will bring you better long-time return. 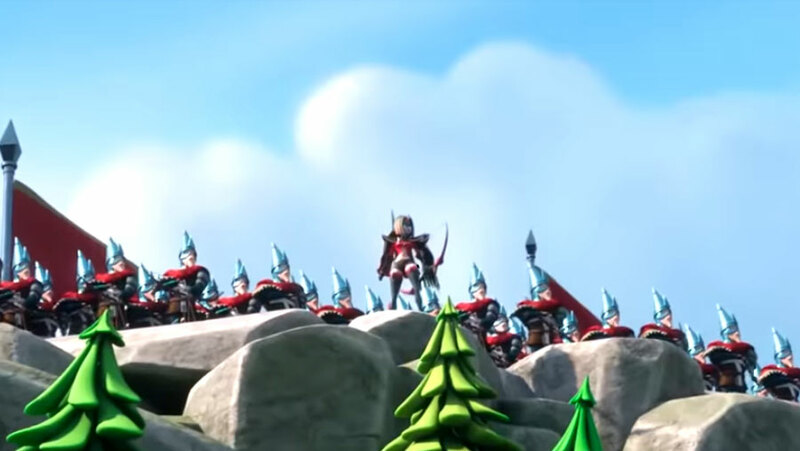 Here is my article on the best heroes and here’s my article on the best heroes for each troop type. Do it. It’s not a waste. Learn the counter attackers and then get as high as you can (yes in both ways). 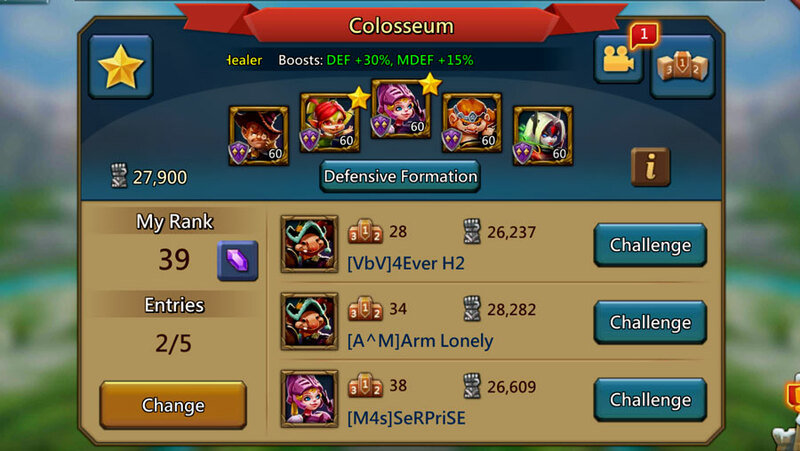 You can get a lot of gems from the Colosseum. Learn how to dominate the Colosseum by clicking here. 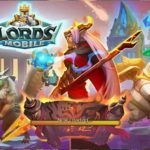 If this article helped you, then jump along to my article on the Dumbest Mistakes in Lords Mobile.